Conceived for a communion of pleasures of the palate, our Hedonist model will set your senses spinning. To indulge in a cigar is pure happiness, and connoisseurs are frequently equally discerning in their appreciation of the fruits of the vine. 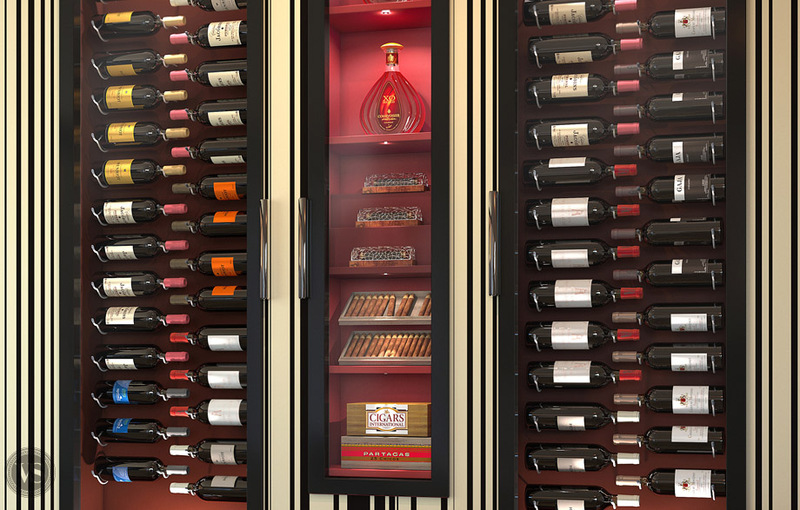 The originality of our Hedonist cabinet is a numbered plexiglas® and aluminium cigar case, one of a limited edition of 50 created by Dordje®. When you’re on the move be sure to pack this exceptional object for your cigars. 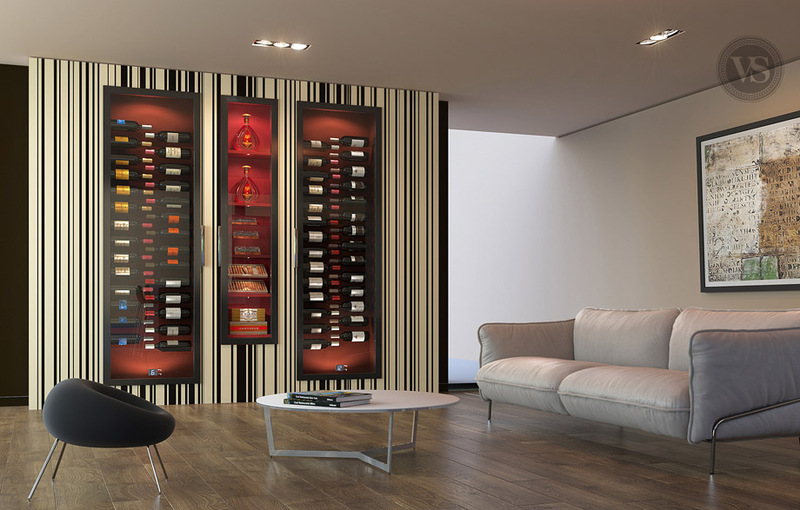 The two glass-fronted compartments can each be set at the perfect temperature for your red and white wines. Bottles are arranged to entwine laterally, in a novel wave-like rhythm. The depth required for the placement of a traditional cabinet is reduced astutely thanks to this compact and innovative feature. The exotic wood paneling, smooth and warm to the touch, gives a unique and contemporary feel. 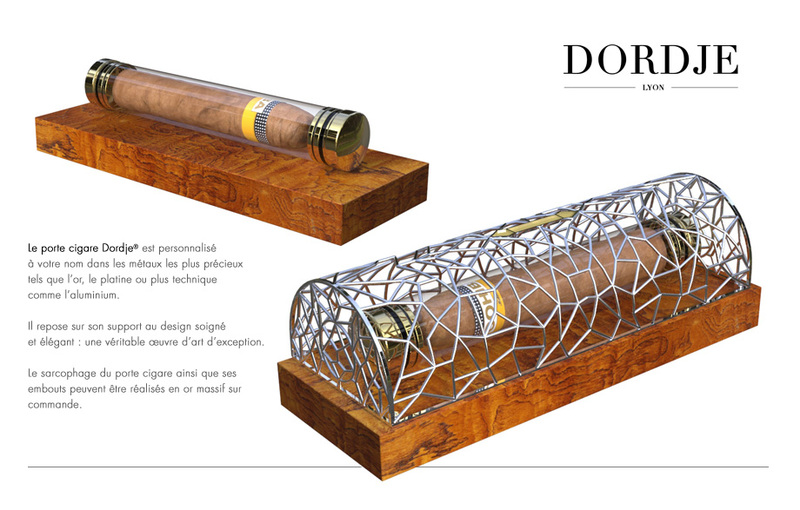 The Cigar holder Dordje® is customised with your name and made out of the most precious metal of your choice : Gold, Platinium and technic as Aluminium. It sits on an very stylish and elegant well-designed base : a genuine piece of art. The sarcophagus as well as the end tips of the cigar holder can be made of solid Gold on request.